This week’s episode is almost an abbreviated one as the Geeks celebrated our nation’s birthday this past week. Josh and Ronnie discuss, however, why ID4 is the Fourth of July movie to end all patriotic films. Our main focus this week is our interview with Greg Hanks, the founder of Southernerds. 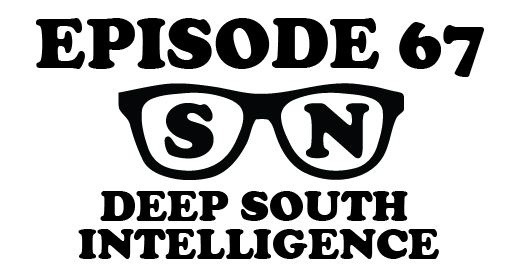 Southernerds focuses on the “pursuit of knowledge by those in the South”, and “the misconception by some that people residing in the South are backwoods, uneducated hicks.” Special thanks to our new friends at Strange Brew Coffeehouse in Starkville, MS! There’s also some familiar stuff too! Cold Slither liked this on Facebook. Why does Beast Wars Megatron sound like Patrick Stewart? @JustUsGeeks @Southernerds I’m excited! Can’t wait to listen. That’s a Marty Estes question. I’m not complaining, just thinking out loud.